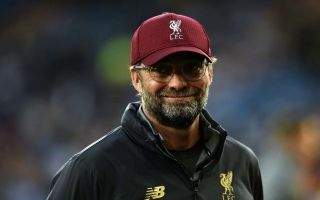 Liverpool manager Jurgen Klopp has made a request to Liverpool fans in his pre-match press conference ahead of Liverpool’s Premier League clash against Fulham on Sunday at midday. Fans are hoping that the Reds can blow Fulham away given the West London club’s poor defensive record and the fact that they sit at the bottom of the Premier League. Klopp’s men will need to turn in an impressive performance against the relegation candidates, especially after falling to a shock defeat on Tuesday night to Red Star Belgrade in the Champions League. The Reds have the perfect chance on Sunday to equal or better Manchester City’s points tally so far this season, Liverpool can overtake City and take 1st place in the division if City lose to Manchester United in the Manchester derby that follows Liverpool’s clash with Fulham. Liverpool could also equal City for points if the Manchester derby ends in a draw.